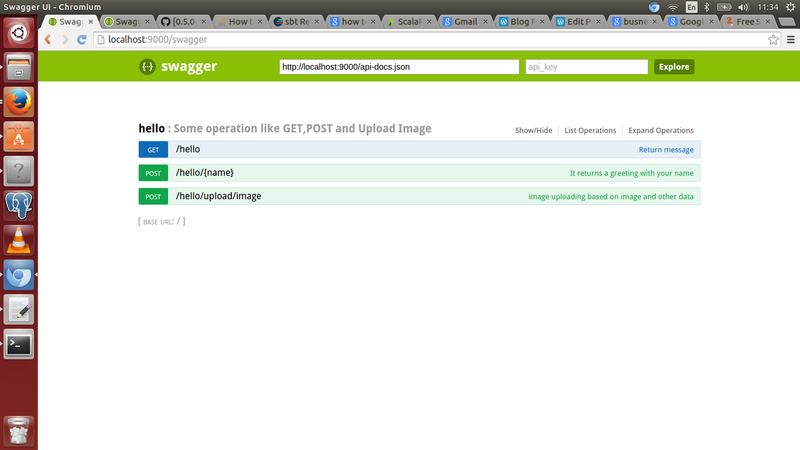 Swagger is very powerful tool for REST API description and API documentation.Swagger API gives a Swagger GUI for humans to learn and test your API.It’s 100% open source.The goal of Swagger is to enable client and documentation systems to update at the same pace as the server. The documentation of methods, parameters, and models are tightly integrated into the server code, allowing APIs to always stay in sync. 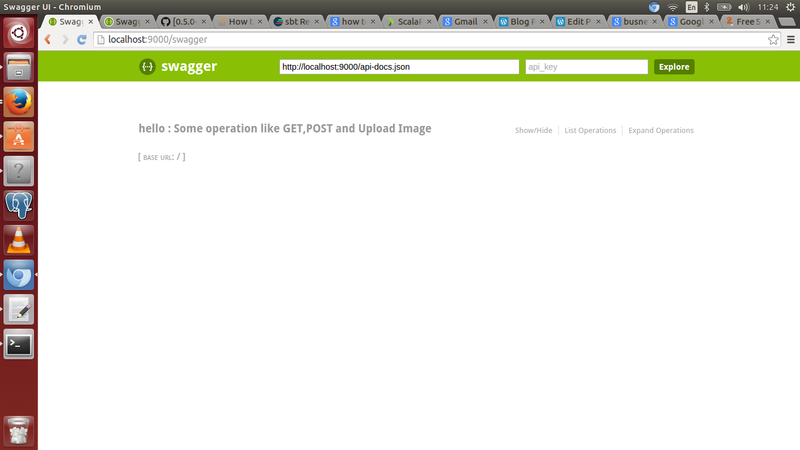 In this post I’m going to show step by step instruction how to setup Swagger UI with Play Framework. * following is a POST method that takes a parameter @name and return a greeting with name,nickname and address. 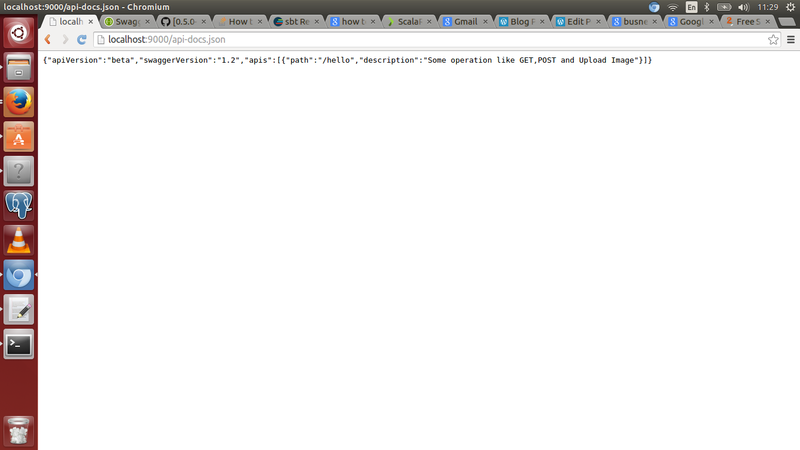 http://localhost:9000/api-docs.json – doesn’t respond than something went wrong. There is only one link named hello because in routes.scala,there was one route named hello. 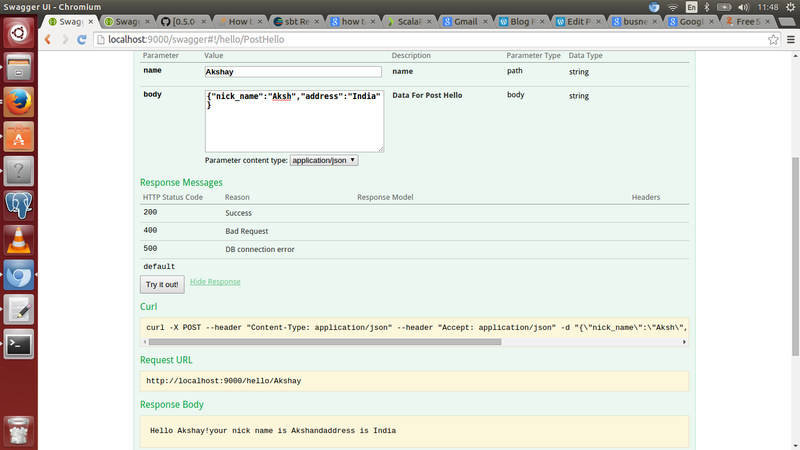 Just click on hello link and see all your rest api link associated with hello. 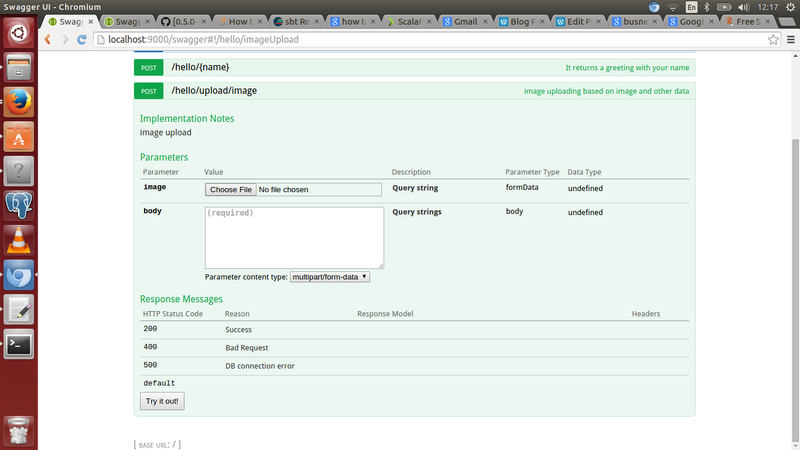 For uploading an image as well as send data through form. If you are using Scala 2.11.6, Play v2.4.x you will need to have these items. If you get a play.modules.swagger.SwaggerModule not found message, make sure you replace the double quotes with “plain” double quotes (do not copy-past the above lines). Do you have something for Play2.5 ? the import @import play.api.Play.current is deprecated and this is not working anymore. Did you find a solution for play 2.5 ?